EDITOR'S NOTE: Added 12 Aug 2017, This story is a work in progress. In the coming days new story revisions, images, sources, etc. will be added and updated to this page. Little is known about the life of Phillip Henninger. 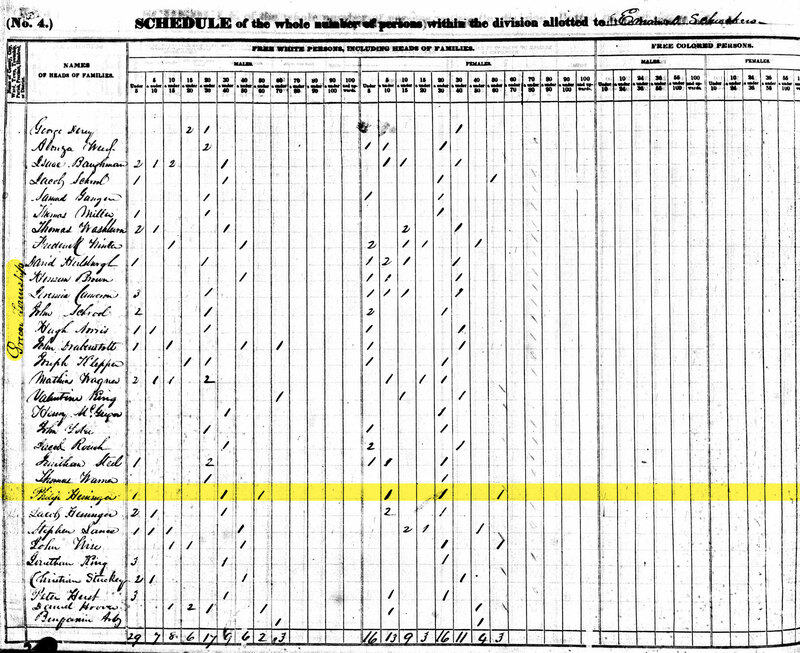 We know he was born prior to 1780 to German immigrants Leonard Henninger and Maria Sigzler. 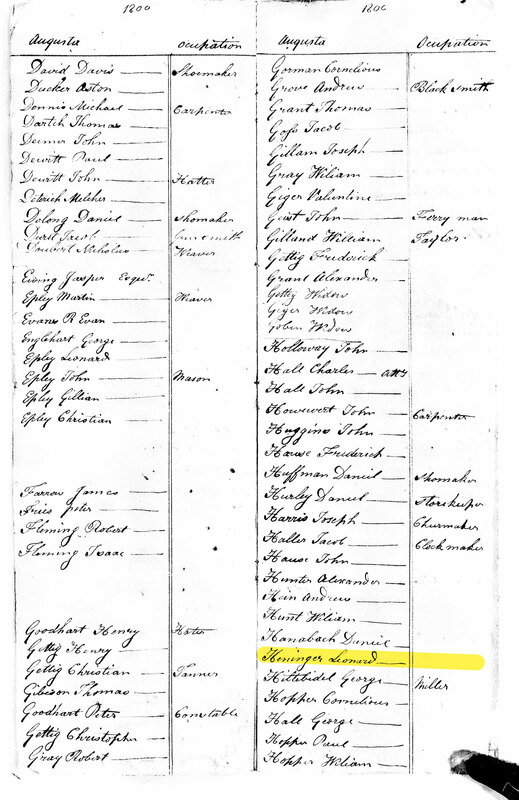 It was was originally assumed he was born in Northumberland County, Pennsylvania, however research into the Henninger family points to his father being counted in tax records and serving in the Pennsylvania Militia in Rockhill Township, Bucks county at the far east end of the state in 1779 and 1780. This puts the family in Rockhill Township around or after Phillip was said to have been born. Regardless, Phillip was most likely born in Rockhill Township and at the very least in Bucks County, Pennsylvania. Early documentation believes he had 2 siblings: John and Marchia/Marsha, yet later in his life he lives near a Bastian and Michael Henninger that could also be siblings. It's believed after father Leonard's service in the revolutionary war that he is able to buy land, either via a land grant as payment for his service or with money he received for his service. Either way, the family moved west into Northumberland County and settled near Augustaville (Commonly noted as Augusta in records, it's currently unknown if this is referencing Augustaville, an actual village about 5 miles outside Sunbury, or Upper Augusta, a Township that surrounds Sunbury, not including Augustaville). We only truly start to pick up on Phillip after his marriage to Magdalena Dunkelberger. They were married some time before 1799 when their first child, Margaret, is said to have been born. We assume based on the Dunkelbergers' history in the Augustaville area, that the marriage took place near here in Northumberland County. 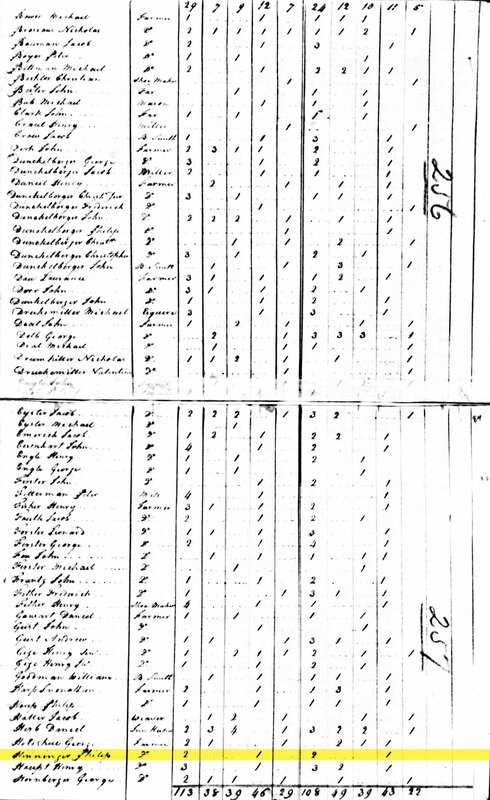 The family is first recorded in the 1810 census in the township of Upper Mahanoy (about 15 miles southeast of Augustaville). This is where we see Philip living close to Bastian and Michael Henninger, and John Reed, who is noted as witness to the baptism of his daugther Christina at Zion Lutheran Church in Augustaville (also proving the 15 miles wasn't an issue if they'd travel it weekly for church). By 1820 the family is now noted in Little Mahanoy Township, this time only 6 miles south of Augustaville. 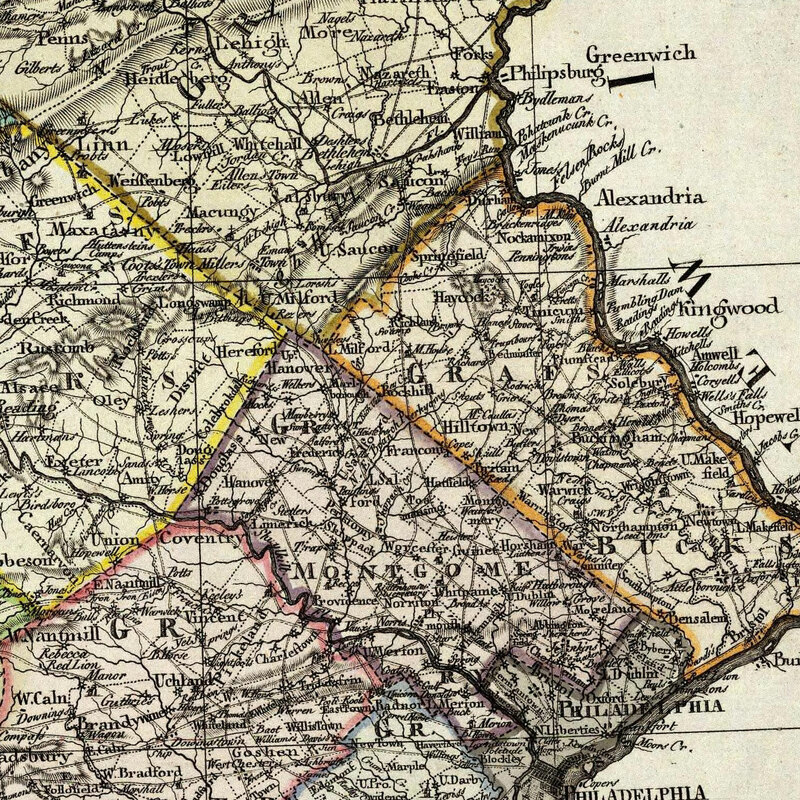 Shortly before the 18 Oct 1823, Phillip's father Leonard dies in what is written as Augusta Township. On 18 Oct, Phillip is called on to be the executor of his father's will and estate. It's at this time that both he and his brother-in-law Thomas Mendenhall (sister Marchia) received 1/2 a share of his father's land. 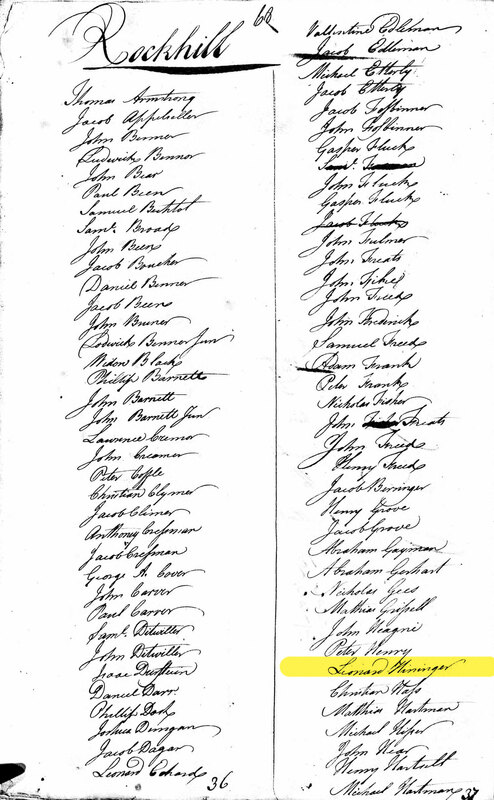 We don't have an exact date, but some time after 5 Aug 1827 when wife Magdalena is noted as being a sponsor at her nephew's baptism, the Henninger family would again pick up and move west. 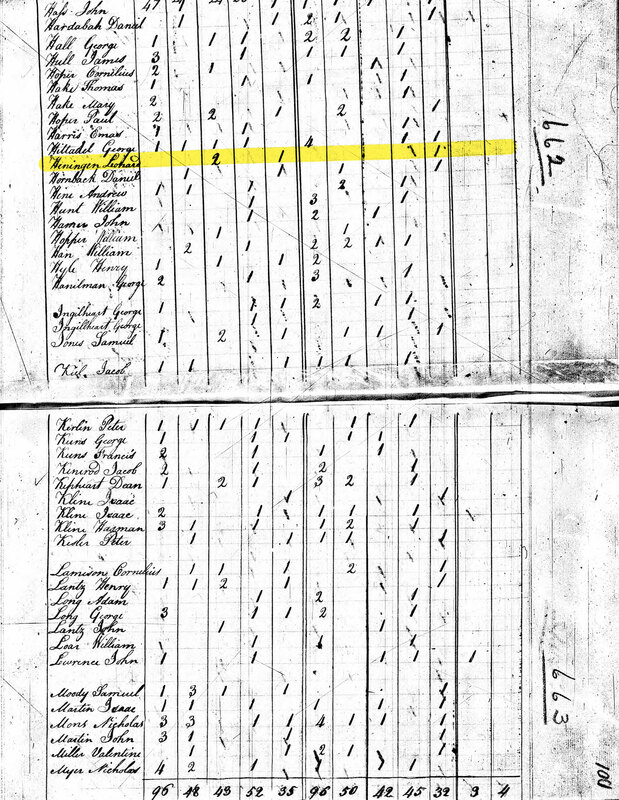 This time it was to Green Township, Wayne County, Ohio where the family was counted on the 1830 census. Here in Green it seems that Philip lived out a quiet existence most likely farming his land. 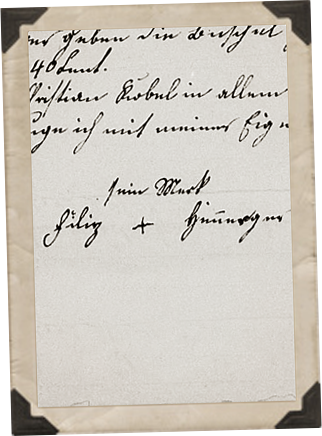 He leaves his mark on a document written in German on 1 Apr 1840. From there we don't know exactly what happened to him. We don't even know for certain where or when he died or where he was buried. Phillip's estate sale took place 11 Jul 1845. His property include 98 acres at Sec.30, Twp17, Range12. Magdalena outlived her husband, but just as him, she does not appear to have a documented death or burial record or headstone. The last we see of the widow Magdalena Henninger is 24 Oct 1846 when son-in-law Thomas Warner signs that payment from the Henninger Estate was made to Magdalena. This likely marks that she was becoming to ill or frail to appear herself as she signed estate papers just 5 months earlier on 18 May 1846. George Collier, bef 04 Jul 1852 – ? Herbert Collier, Bef 25 Jun 1865 – ? Henry Collier, 15 Jul 1867 – ? Catherine Anne Collier, bef 17 Oct 1869 – ? Arthur Collier, bef 26 Feb 1871 – ? Annie Collier, 1877 – ? 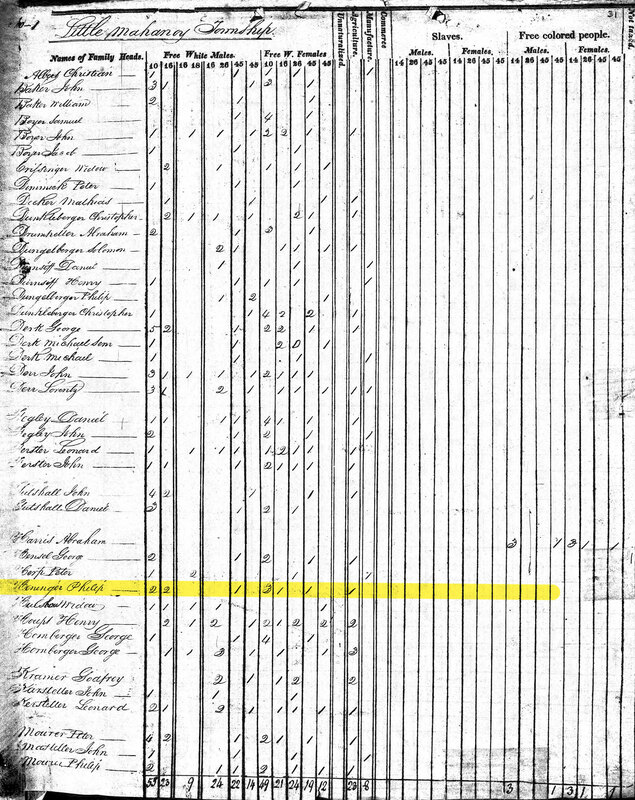 A Leonard Henninger is documented in the 1791 tax records in Rockhill Township, but not in the 1797 tax records. 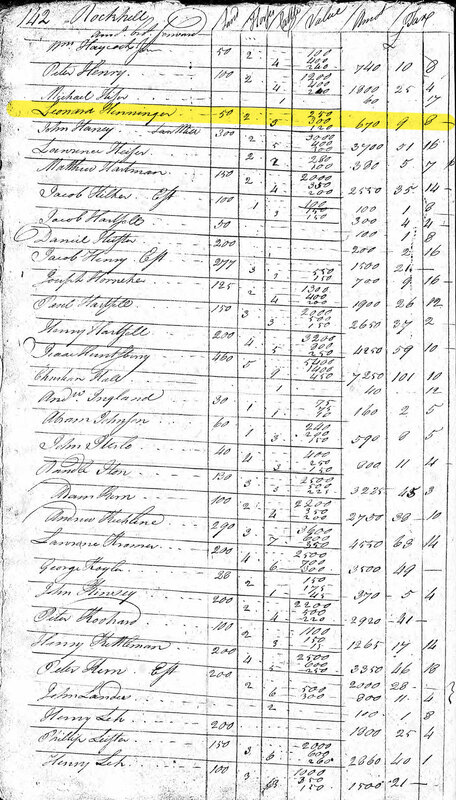 Problem is 1792-1796 tax records are missing, limiting our ability to accurately document Leonard's relocation to Northumberland County. Northumberland's tax records are not available between 1788-1797. 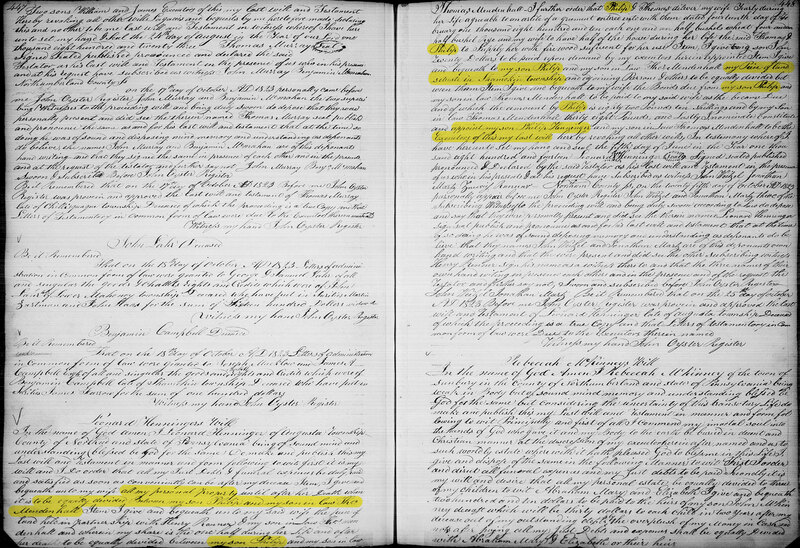 Does a church marriage record exist for the Henninger/Dunkelberger marriage near Augustaville in Northumberland County? 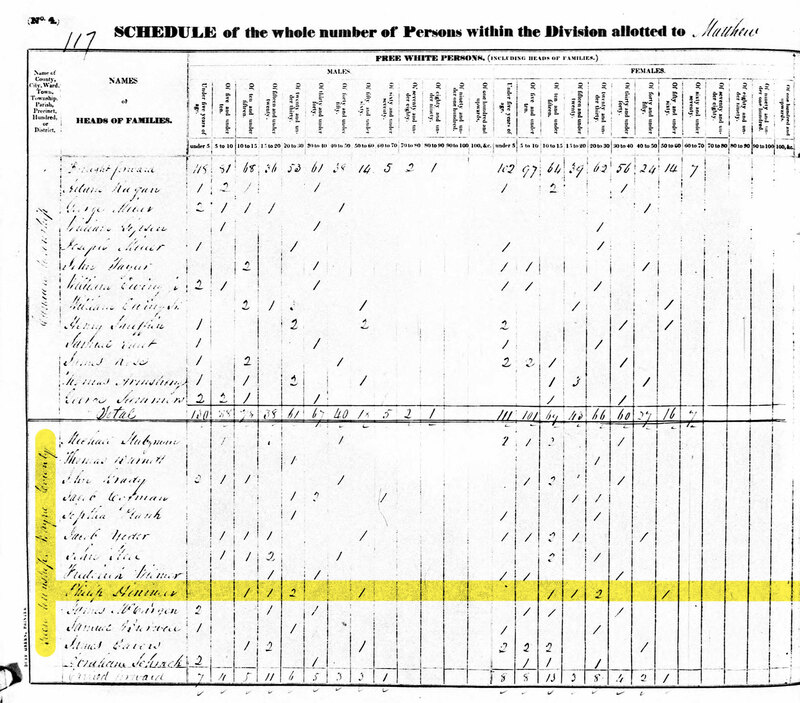 1 John W Winkler, "Ohio, Deaths, 1908-1953"; "Ohio, Deaths, 1908-1953," index and images, FamilySearch (https://familysearch.org/pal:/MM9.1.1/X643-XFC : accessed 07 Feb 2014), John W Winkler, 18 Mar 1913; citing Wayne, Ohio, reference fn 19118; FHL microfilm 1953602.